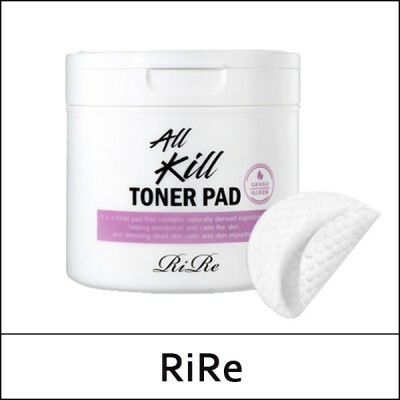 A toner pad enriched with naturally derived ingredients, to help moisturizing and skin soothing, while removing dead skin cells and skin impurities. White willow tree sap and soft embossed pad gently removes dead skin cell without irritation. It refines rough skin surface to make it smooth. Along with the white willow tree sap, the pad akso contains green tea, aloe vera leaf extract, and tea tree extract to moisturize and soothe the skin. After cleansing gently wipe off entire face with the embossed side to remove dead skin cell, skin waste, and remaining makeup residue. Wipe off once more with the soft side to refine skin texture.